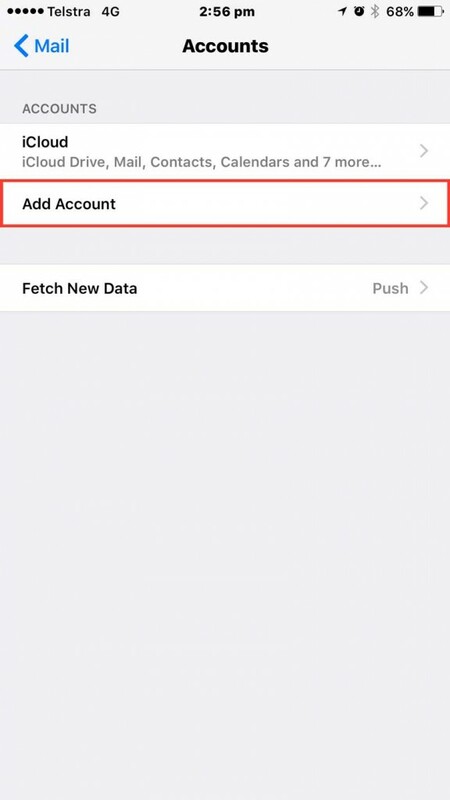 Select the Add Account… option from the list of menu items. 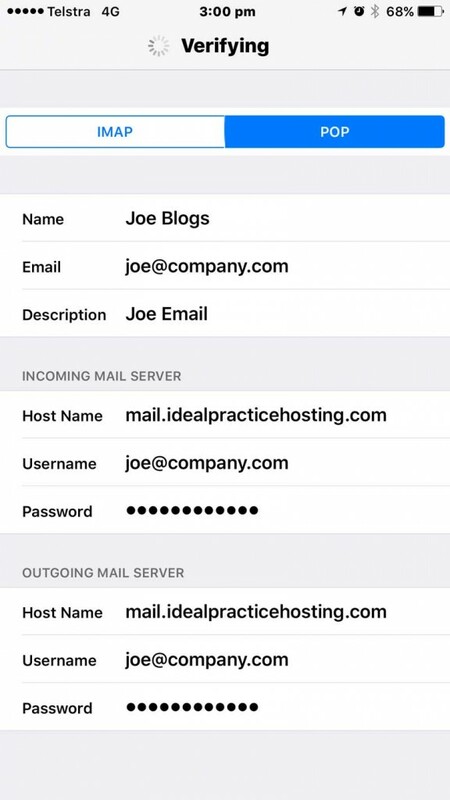 Scroll down and enter the Incoming Mail Server information as shown. 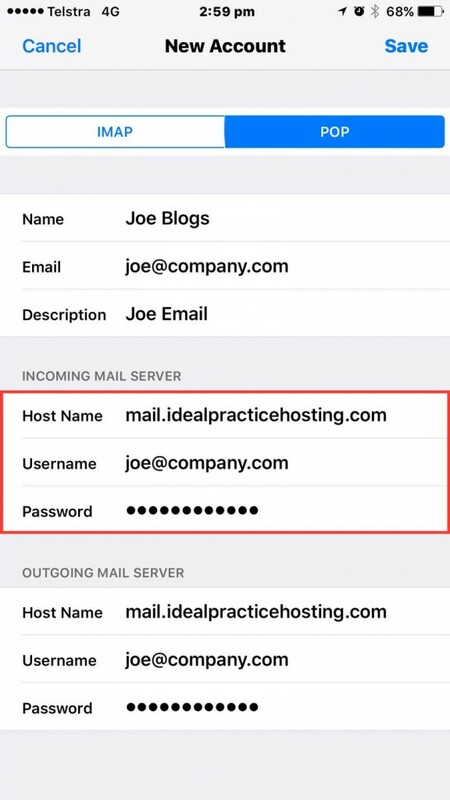 You will need to specify the Host Name (always use mail.idealpracticehosting.com) and also your email account as the User Name. 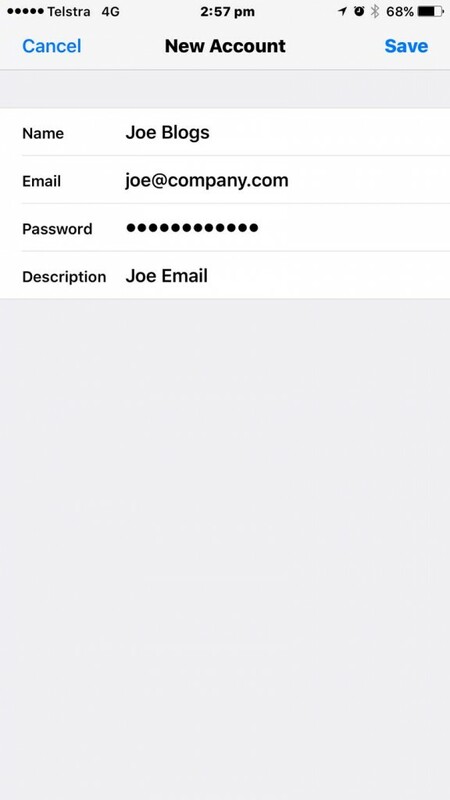 Your Password should already be entered from a previous step, but if not, please enter it. 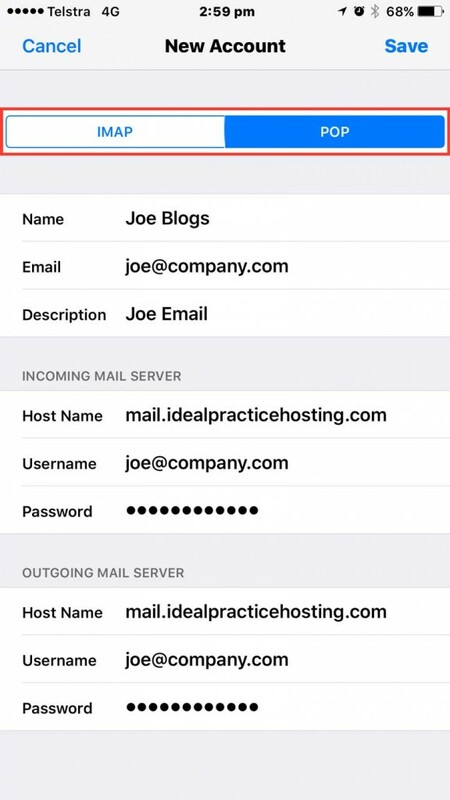 Scrolls down and enter the Outgoing Mail Server information as shown. 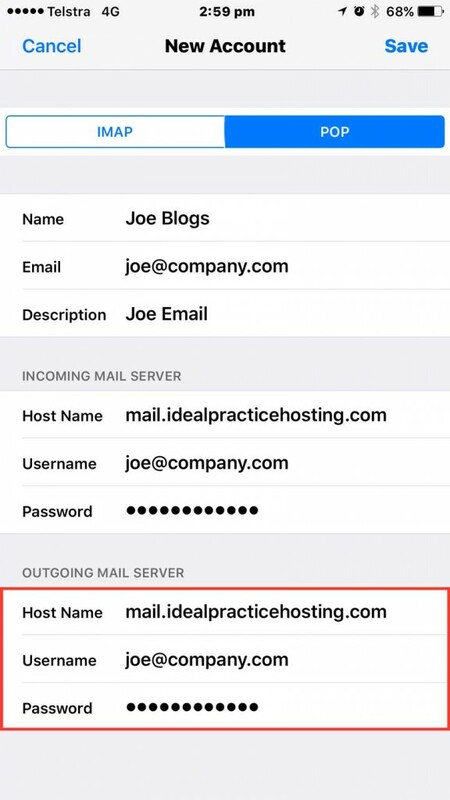 You will need to specify the Host Name, your email account as the User Name and also type in your Password. 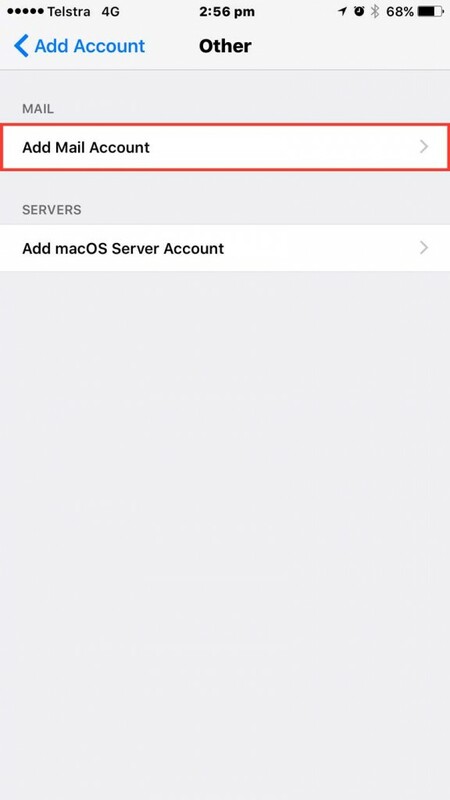 In your device Settings…. 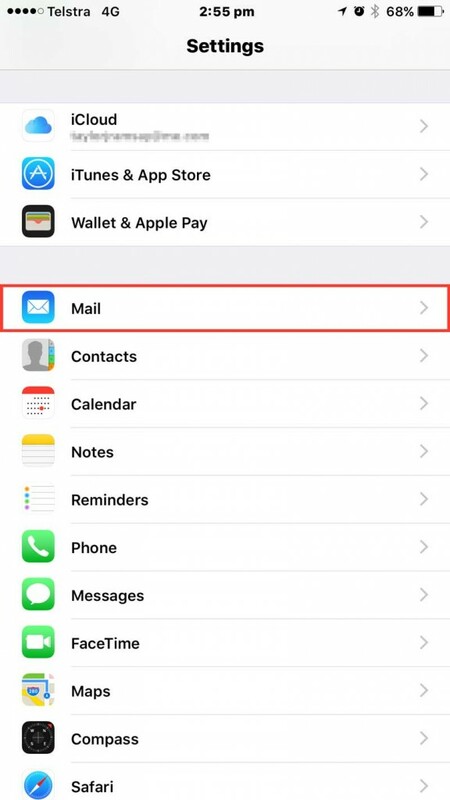 Mail, Contacts, Calendars, select your email account and navigate to the Incoming Settings section as shown. 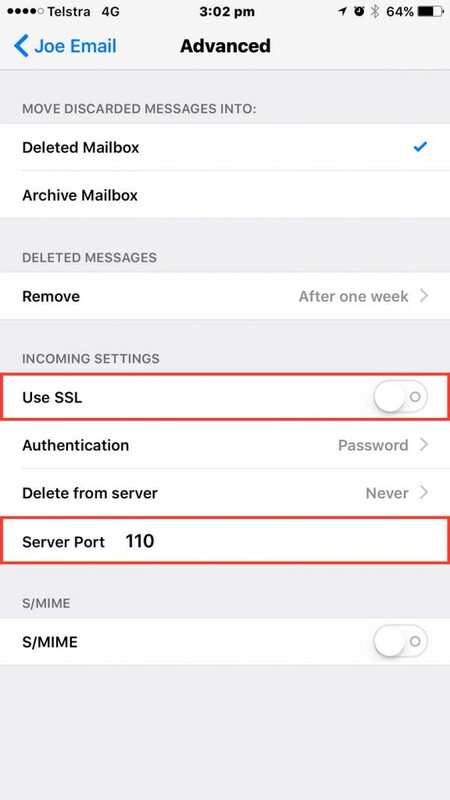 Turn Use SSL to OFF and change the Server Port to 110 if you are using POP protocol, or 143 if you chose IMAP. 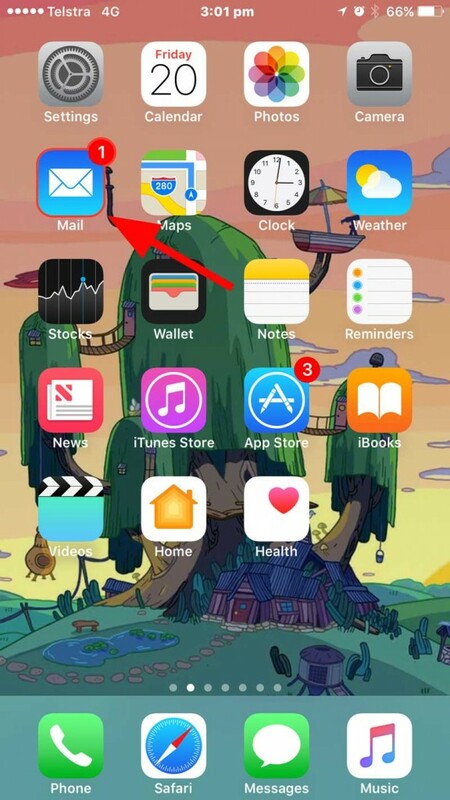 Click the back button on the top left to save your settings and then try again. 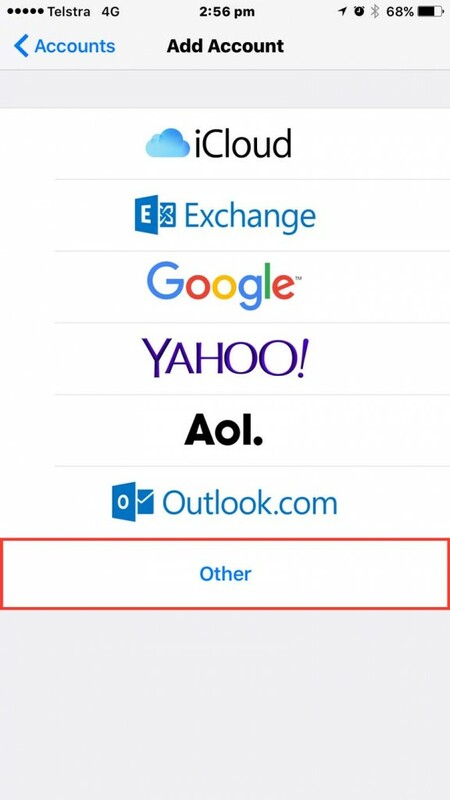 If the problem persists, please check for internet connectivity or contact your cloud service provider for assistance. 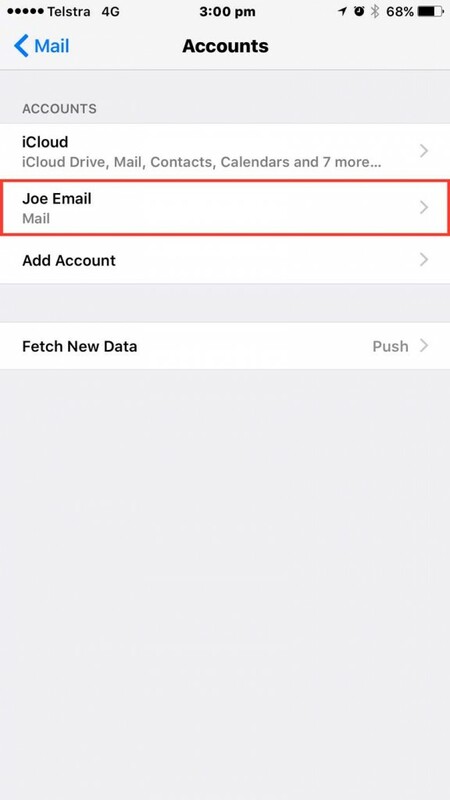 In your device Settings … Mail, Contacts, Calendars, select your email account and navigate to the Outgoing Mail Server settings section as shown. 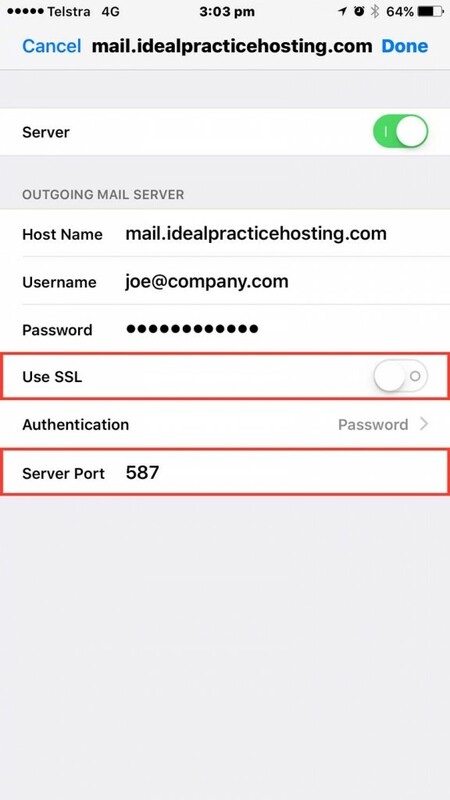 Turn Use SSL to OFF and change the Server Port to 25. Click Done, and then try send another email.